NEW YORK TIMES and USA TODAY BESTSELLING AUTHOR, ELLE CASEY, brings readers Book 1 in the YA Urban Fantasy WAR OF THE FAE Series. Jayne Sparks, a potty-mouthed, rebellious seventeen-year-old and her best friend, shy and bookish Tony Green, have a pretty typical high school existence, until several seemingly unrelated incidents converge, causing a cascade of events that change their lives forever. Jayne and Tony, together with a group of runaway teens, are hijacked and sent into a forest, where nothing and no one are as they seem. Who will emerge triumphant? And what will they be when they do? Content Warning: Mild violence and significant foul language within. Meant for older Young Adult readers (age 15+). I couldn’t take much more of the high school nonsense. I felt like I wasn’t supposed to be there. Where would I be if I weren’t there? … I don’t know. All I did know was I was in the middle of all that crap, going to class, taking tests – but I was on autopilot, going through the motions, waiting for life to start happening. Sitting in World History and bored out of my mind, I was looking at a girl one row over who was the polar opposite of me. She was staring attentively at the teacher, her pen poised above an already nearly full page of notes, eager to write down every nugget of educational wisdom he was throwing our way. She loved high school, and she had big plans for moving on to college next year. She had cheer practice after school and a boyfriend named Mike who played wide receiver on the football team. Ugh. I owned a pen. I probably had some paper somewhere in my backpack too. That day, however, I was using my pen to draw symbols all over my right hand – temporary tattoos. I write and eat with my left hand but do just about everything else with my right. My own body was confused with what it was supposed to do. I was in the minority in that school. It seemed like just about everyone else knew exactly what they were doing now and what they were going to be doing until the day they died. Me? I didn’t have a clue. All I knew was this wasn’t it. 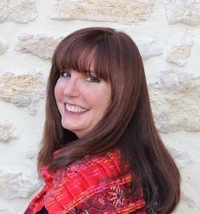 Elle Casey, a former attorney and teacher, is a NEW YORK TIMES and USA TODAY bestselling American author who lives in Southern France with her husband, three kids, and a number of furry friends. She has written books in several genres and publishes an average of one full-length novel per month. I'm Noelle, Elle's Assistant. 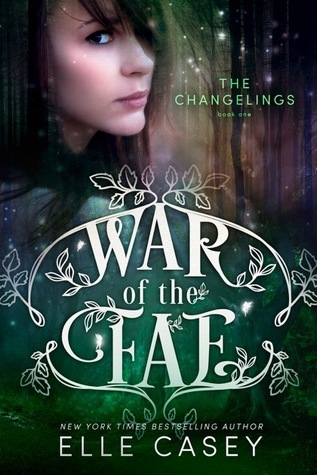 Thanks for posting about The Changelings! We hope your readers enjoy the excerpt and grab their free copy. There are 9 more books in the series to enjoy :) Happy reading!